An award- winning cookbook author and cooking teacher answers her most- asked question: What do you make for dinner? 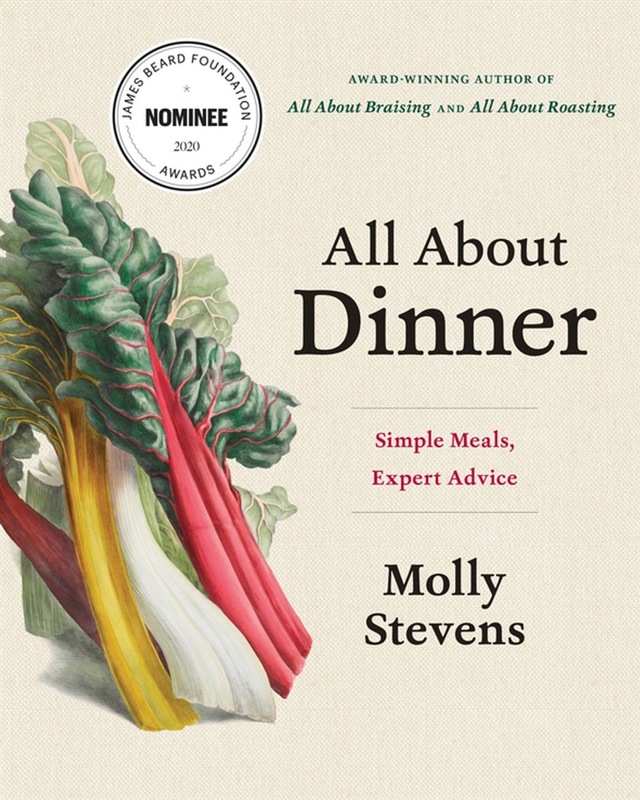 Like most of us, Molly Stevens has no team of prep cooks, no vast pantry, and no one paid to clean up her home kitchen. What she does have are delicious, time- tested recipes made from easy- to- find ingredients, collected for the first time in All About Dinner. These are the dishes that Stevens loves most, the ones her students clamor for: an Arugula Salad with Peaches, Basil Vinaigrette and Sunflower Seeds; an elegant Creamy Parsnip- Leek Soup; a Butter- Poached Shrimp with Fresh Tomatoes and Garlic; and an Apple and Triple-Ginger Crisp. Building on the foolproof clarity of her previous cookbooks, each recipe is designed to impart solid kitchen skills while encouraging home cooks to expand their personal repertoires by mastering everyday favorites like simple pasta, hearty stew, and tempting savory and sweet snacks. A gorgeous collection of balanced meals, packed with flavor, All About Dinner will entice busy cooks back into their kitchens. Acquista All About Dinner: Expert Advice for Everyday Meals in Epub: dopo aver letto l’ebook All About Dinner: Expert Advice for Everyday Meals di Molly Stevens ti invitiamo a lasciarci una Recensione qui sotto: sarà utile agli utenti che non abbiano ancora letto questo libro e che vogliano avere delle opinioni altrui. L’opinione su di un libro è molto soggettiva e per questo leggere eventuali recensioni negative non ci dovrà frenare dall’acquisto, anzi dovrà spingerci ad acquistare il libro in fretta per poter dire la nostra ed eventualmente smentire quanto commentato da altri, contribuendo ad arricchire più possibile i commenti e dare sempre più spunti di confronto al pubblico online.